Living in Colorado Springs is deliciously intriguing, unlike some places (oh, let’s say, Texas, where everything is flat). One side of town one lives among the prairie grasses, while in another part of town they are in the midst of Urban scrawl. Residents on the west side find themselves perched high up on rocky bluffs or on the side of a mountain, while others can live in solace within a valley or the shadows of a thick forest. And all of these vastly different areas are within a few minutes of each other! About the only thing we don’t have in Colorado Springs is an ocean view. 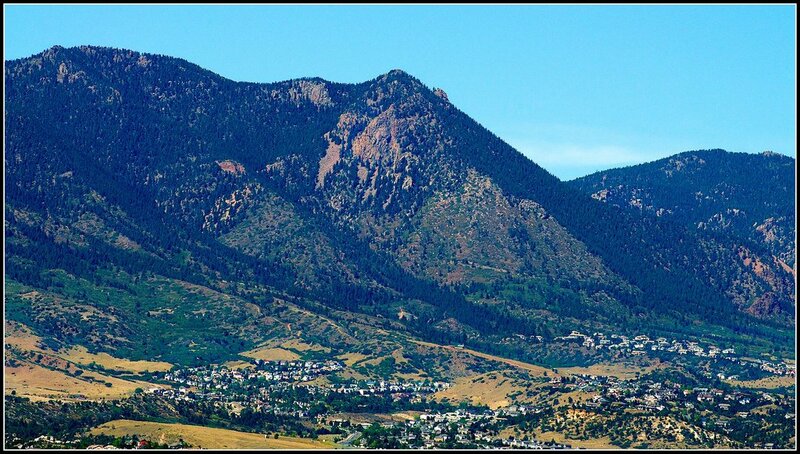 What I love most about Northwest Colorado Springs is that practically the entire area is located directly in the foothills. Many neighborhood streets twist and turn, rise up and down among the granite edges of the Rocky Mountains. Northwest Colorado Springs is easy to identify as the northern border comes to an abrupt end at the property of the Air Force Academy. To the west, the mountains rise high above the city, while in the east the interstate again establishes another border. To the south, it gradually merges with the central western portion of the city at Garden of the Gods road. This part of town is technically on the west side of the city, but not necessarily part of the culture of what the locals consider “west side”. Instead, it serves as an extension of the popular and whimsical “westside”. Think of Northwest Colorado Springs as the quieter, and unassuming “big sister” of the more active and busier central counterpart. Most of the traffic in this part of town is limited to residential. That means quiet, open roads. The entire area has a tranquil and relaxed feeling. Few businesses draw extra attention, which keeps it a private and quiet community. You’ll find the busiest streets to be Garden of the Gods and Rockrimmon, which is the location of various industrial and professional industries. That area also has a few small dining (fast food) and grocery options. If you like little traffic with hushed and peaceful streets, then this part of town is definitely for you. Nowhere else in Colorado Springs are the streets as quiet as they are here. That also means when you and the family want a night out to eat or to go shopping, there are only a very few relatively close options for you.  A wide range of housing price points can be found in every part of town, but each area certainly leans towards a specific style and price range. Generally, the northwest is characterized by stucco dwellings that lean heavily to a Tuscan feel. Warm, rich colors, tile roofs, stone accents mean the homes here are stunning…and big! Town homes and patio homes are also very popular in the Northwest part of town. Compared to its neighbor, the central west side, the neighborhoods are reserved, cleaner, and offer bigger lots. You’ll even come across horse property tucked away here and there. This is also an older part of town so the communities are well-established and, other than building on an isolated lot here and there, you will not find many new builds. The medium price point on this side of town is $425k and up. Of course, homes on either end of the spectrum can be found, but the majority of housing prices are above average in this locale. Take a drive through the wildly interesting communities. 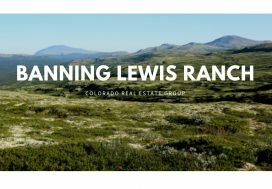 You’ll be surprised to find yourself high up on a bluff, overlooking the city, and then a minute later, down in a valley surrounded by horse property. 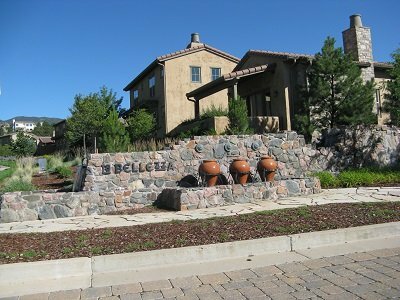 Because so many neighborhoods are built on steep mountains, the neighborhoods are tiered and the homes have unobstructed views. Others, like Woodmen Valley, are tucked deep into valleys and surrounded by dark forests of tall pine trees. Mountain Shadows (the hardest hit community during the Waldo Canyon Fire. They have been rebuilding over the past 5 years and many of the homes are new.) It’s bordered by the Flying W Ranch and Garden of the Gods. 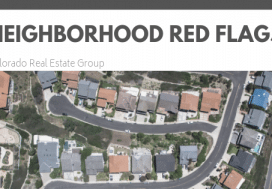 Peregrine (Heights, Valley, La Bellezza, Tuscan Heights): There are numerous different sections and HOAs in this area and are in a premium price range). Peregrine is home to the 500-acre mountain convent of the Sisters of St. Francis. Woodmen Valley (Yes, there is a valley to the north of Woodmen Valley Road. You’d have to know it was there to find it! Large homes, big lots, horse property, lots of trees). The roads are maintained by the county. There are also wells and septic systems maintained by the county as well. Pinon Valley (More affordable homes, just West of Ute Valley Open Space. Many trails lead into the open space for fabulous hiking options). Rockrimmon (Closest to the interstate. Well-known and popular neighborhood. Avg. home price of $435k.) It’s conveniently located near many major high-tech employers. Northwest Colorado Springs is under the jurisdiction of School District 11. A highly respected and rated school district. Elementary schools are plentiful, which makes dropping off your little ones easy and quick. The reason that the Northwest section of town feels so peaceful is due to its many open spaces and well-groomed parks. Forget you are in the city and experience the feeling of being in the middle of nowhere as you hike through Blodgett Peak Open Space, Ute Valley, or a multitude of trails among the scrub oak and bristle pines that are characteristic of the Northwest part of Colorado Springs. 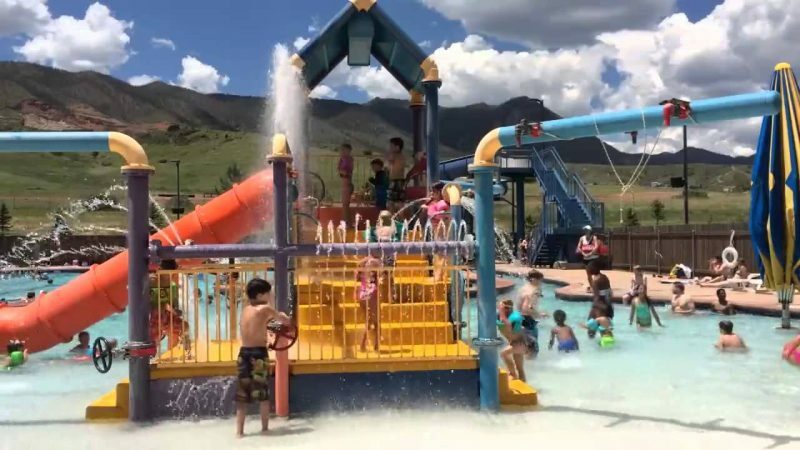 While the neighborhoods on this side of town do not have pools, there is a beautiful community pool through the YMCA that is available to the public at Wilson Ranch. 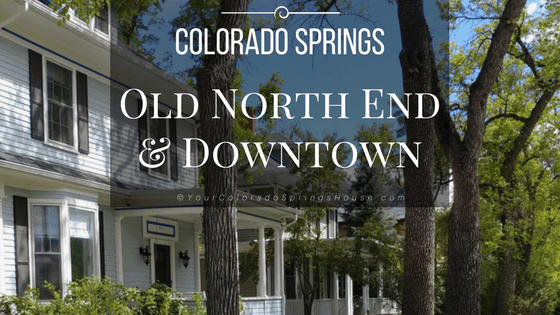 As you drive through Northwest Colorado Springs, take in the gorgeous views looking down on the city proper. Notice the lack of the city noise. In addition, you will get an up close view of the remnants from the Waldo Canyon Fire. The bare tree trunks scattering the hills are obvious, however, they do not mar the beauty of our mountains. Sure, the pine trees are gone, but the gorgeous rock formations, abundant wildlife and the new growth of grasses and wildflowers still make the Northwest an attractive and appealing part of town. 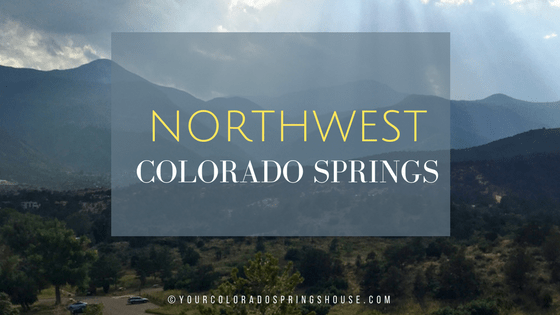 If you are looking for tranquil neighborhoods, love the Tuscan architecture and decor, want open spaces, or the idea of little traffic appeals to you…then Northwest Colorado Springs may be just the right fit!